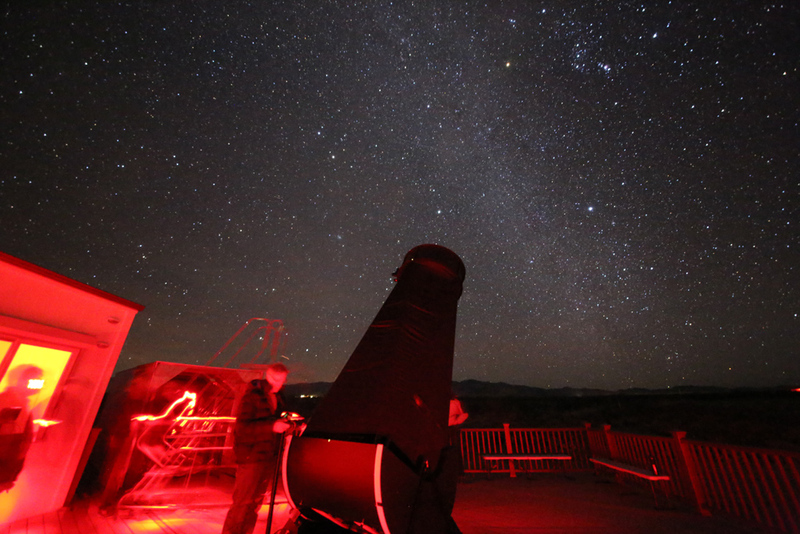 Dark-sky viewing in remote Arizona! 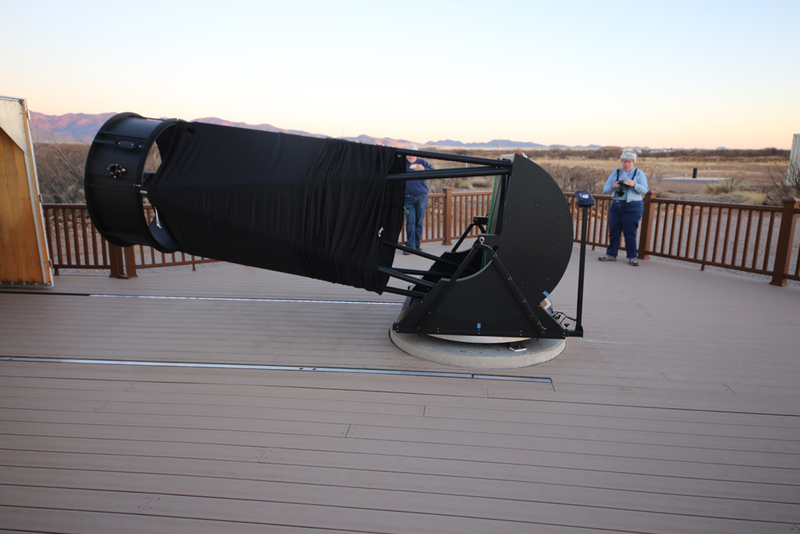 The Tucson Amateur Astronomy Association’s beautiful dark-sky observatory hosts a 40-inch telescope. I spent several days having fun last week in the astronomical capital of the United States, Tucson, Arizona. I’ve long had a love of Tucson — it’s everything that Milwaukee isn’t. Great skies, warm temps, and the desert is beautiful. Moreover, not only is Tucson the capital of professional astronomy, it’s also the center of another great hobby, mineralogy and mineral collecting. Last week I spent a couple vacation days at the annual Tucson Gem and Mineral Show, and then we put on the magazine’s annual Public Star Party. We had the great help of our host, Pima Community College, and also of the Tucson Amateur Astronomy Association and the Palominas Astronomy Club. 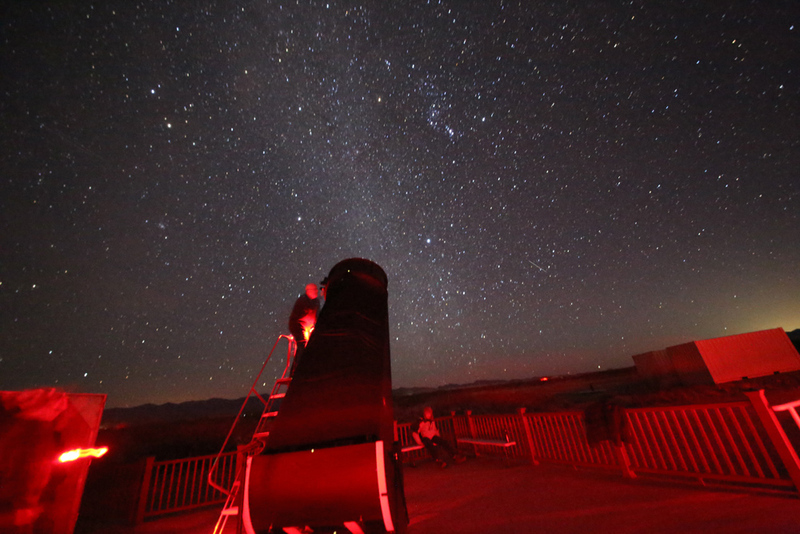 The public star party happened on Saturday, February 10. The previous night, however, members of the TAAA, led by Jim Knoll, asked me to travel down to their remote, dark-sky site about 90 minutes southeast of Tucson, much of the way toward the New Mexico border. There, the club has a sensational observatory facility with multiple telescopes and pads for several dozen telescopes for members and guests. It’s an incredible place, and sets the standard for how a club observatory site should be put together!! The main scope there is a 40-inch Dobsonian reflector. Now you can imagine that under a pristine, inky black sky, with a 40-inch telescope, you can observe virtually anything you can think of. We did. We went after clusters, nebulae, and galaxies, everything from bright targets that looked like photographs, to really oddball stuff. We finished with two galaxies, one close (Leo I, a Local Group object just 820,000 light-years away), and the other distant, the quasar Markarian 205, which is 1.1 billion light-years off. It was a mind-blowing night. I’ll be writing more about the TAAA remote site soon. 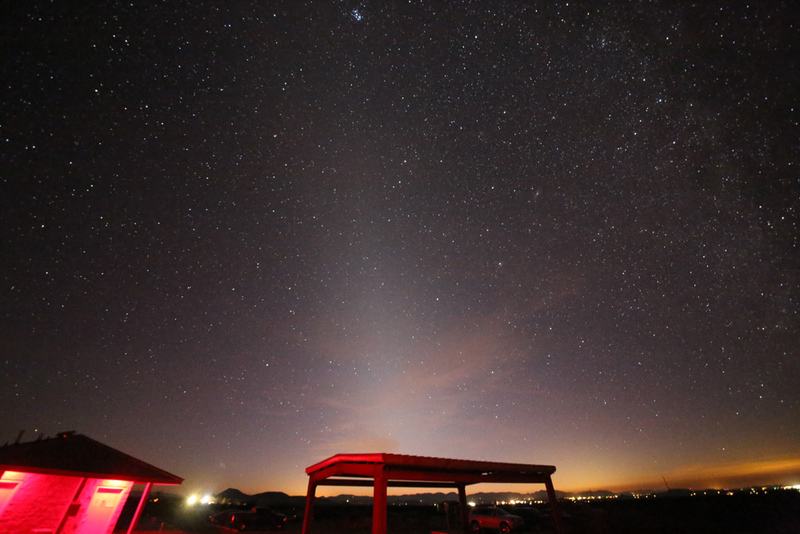 At the TAAA site, the Zodiacal Light was a bright, wedge-shaped cone. Getting the TAAA 40-inch telescope ready for a night’s viewing. The TAAA site provides a magisterial view of a supremely dark sky!